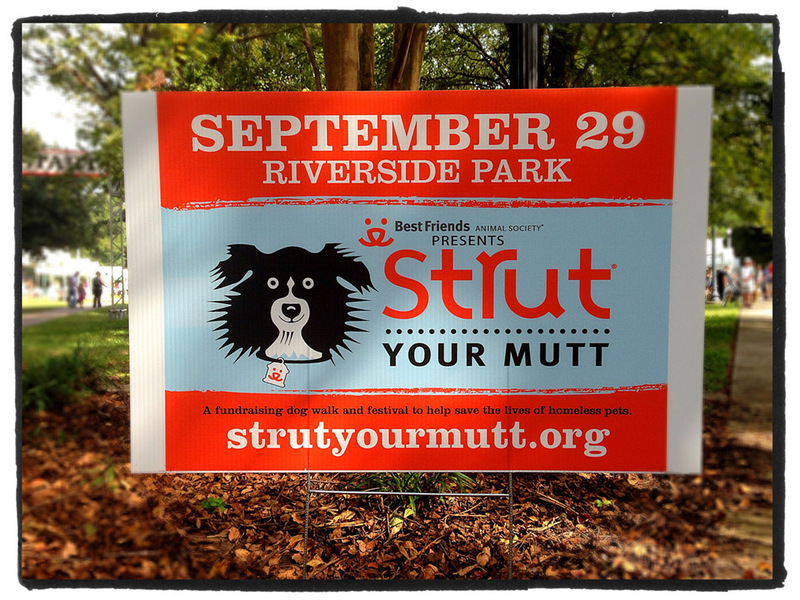 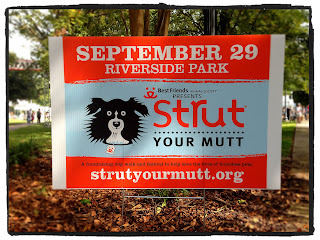 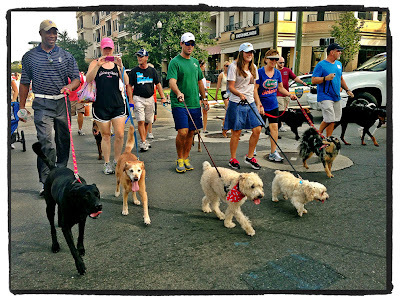 Today was the Strut Your Mutt charity dog walk at Riverside Park, to benefit homeless pets. The event was a great success, with over 400 participants and over $30,000 raised to support homeless pets. 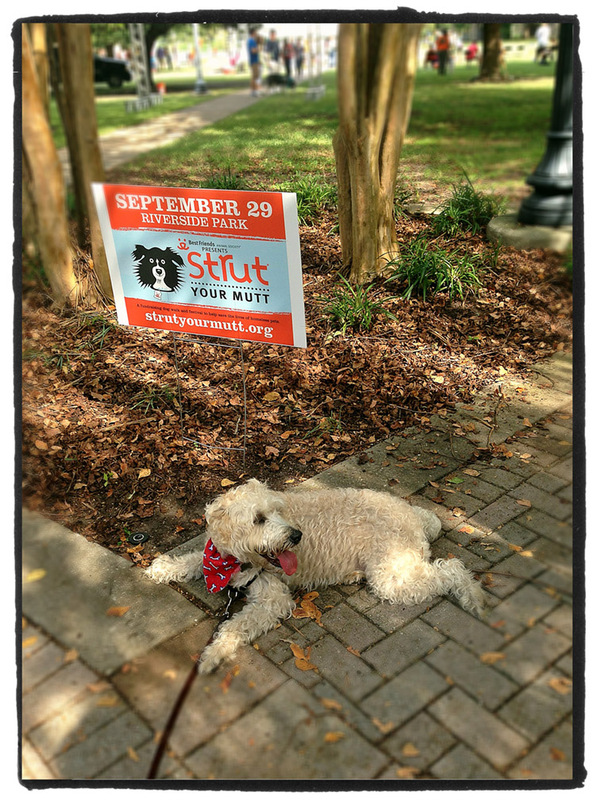 Chandler took great care of Stella so I could take a few pix. 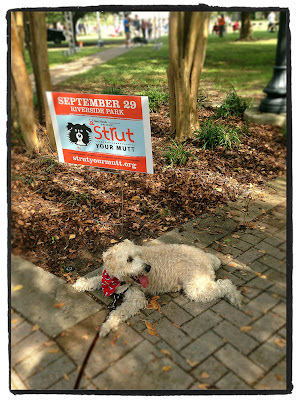 Stella had a BLAST & passed out as soon as we got home! 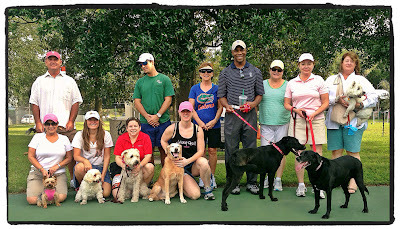 The PGA TOUR's Mutts Who Putt team raised $1000 for the event. 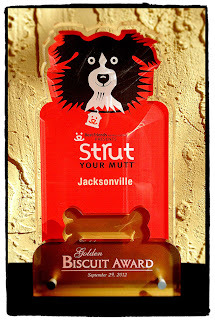 It was the highest total for a corporate group & it earned us the Golden Biscuit Award.